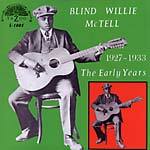 "William Samuel McTier was born in Georgia in 1898 (according to some sources), and despite his blindness was a talented musician since early childhood. 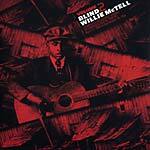 He began his recording career in 1927 for Victor Records in Atlanta and is credited with having created an entire blues sub genre by mixing the hard roots of the Delta style with the more refined East Coast style (Piedmont Blues). 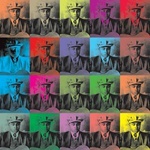 His unique 'country blues' can be heard on the grooves of this double LP collection brought to you by Monk records." 2018 repress. 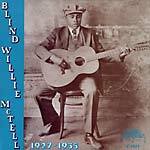 "Blind Willie McTell was one of the giant figures in early blues history. He was a brilliant technician as well as an especially expressive musician and singer. And he had a rhythmic sense second to no one. His repertoire cover the whole spectrum of early rural music: blues, rags, breakdowns, religious songs and more." 2017 repress. 180 gram vinyl. 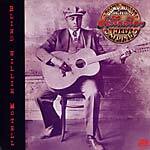 Reissue of this 1974 collection of recordings from the prolific 12-string blues guitarist. 2018 repress. 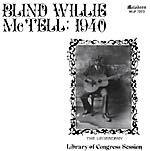 180 gram exact repro reissue of Yazoo's 1968 compilation of rare 78 rpm recordings from Blind Willie McTell. A record that put Yazoo on the map as an essential archival label of roots music. 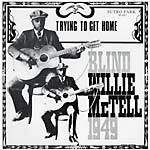 The very best of the magnificent Willie Samuel McTell -- aka Blind Willie aka Hot Shot Willie aka Georgia Bill -- exploring spiritual, ragtime, hillbilly, and above all, the blues.